The St. Patrick’s Day Party is currently taking place on Vintage Penguin, and it seems to last just one day long! There’s quite a few rooms decorated and some items to obtain! Firstly, head to the Coffee Shop! You will be able to obtain the “Shamrock” pin by clicking the little shamrock on the table by the seats. At the Dock, you will also find a St. Patrick’s-themed hat which you can obtain for free by clicking the pot with hats in them! Lastly, at the Plaza, you will be able to obtain a head item by clicking the hat between the Pet Shop and the Pizza Parlour. All of these rooms are decorated, however there is also one more room decorated, the Dance Club! There aren’t any items there though. 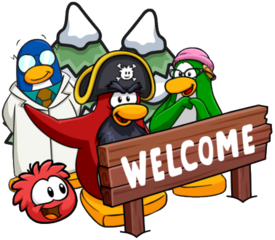 Aunt Arctic is also visiting the island for this event with a custom background, which looks really cool! 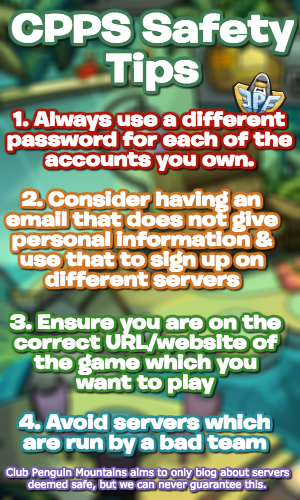 That concludes this event’s guide! It’s a really neat party with some cool decorations, items and music so be sure to check it out! Thank you very much for reading!